What do we remember about the books we have read (as a child, on public transport, on holiday), and why? Reading is often experienced as a private activity, which takes place in silence, on one’s own. Yet reading groups have grown immensely in popularity over the past two decades, bringing reading experiences into the public domain. In what ways do we share our memories of fiction? Memories of Fiction is interested in both individual and collective memories of reading fiction. It has firstly set up an oral history archive of interviews with members of local reading groups, to explore memories as described in individual life stories. In addition, the PhD researcher, Sarah Pyke, has interviewed self-identified LGBTQ adult readers. In doing so, the project is providing a distinct kind of resource – differing from the numerous interviews carried out with authors, from oral history interviews (for the ‘Authors’ Lives’ archive at the British Library) to radio and other interviews by journalists, literary critics, fans and other readers. By turning to readers, the project makes available new material enabling insights into memories of fiction and life stories. How are memories of books associated with particular experiences and emotions? How do readers make use of fiction in their life stories? One thing that is interesting about reading groups is that they turn written text into group talk, turning back the clock from literacy to orality, from the act of the individual reading to talking, from the solitary experience to the social. Scholars of book history often note how reading became an increasingly private activity over the course of the eighteenth and nineteenth centuries, due in part to the rise in literacy, but book groups interestingly highlight the social potential of reading. Thus the project is concerned not only with individual memories but also with how memories of fiction are exchanged with others. After working with individual interviewees, the project researchers have worked in the reading groups. We are interested in how shared memories compare to individual recollections. In what ways can group talk change how we remember fiction? We are disseminating the research through academic publications and also through public talks and a website. For library users and the wider community, we expect the project’s activities to generate interest in reading groups, possibly increasing membership and stimulating new groups. The benefits of reading groups to many participants are increasingly well established. The Reading Agency claims, for example, that reading group membership supports learning, promotes cultural understanding, and equalises access to cultural activity. Our research can also be of benefit to libraries, which are often key to the formation and support of reading groups, by enabling libraries to better understand their users and how they engage with reading in social as well as individual contexts. 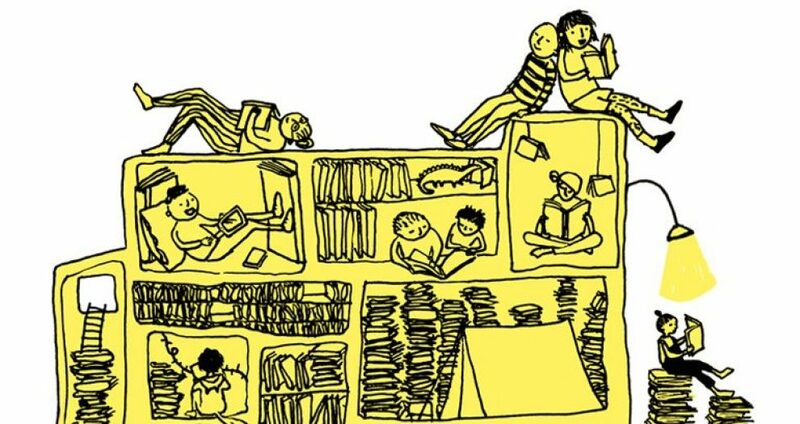 In particular, in the current climate of threat to public libraries, we want our work to highlight and valorize them as unique private/public spaces, providing access to and space for reading, for affording social exchange and shared experiences (of memories, especially, but not exclusively, for our purposes).